Winter is a time of the year with extreme cold that freezes everything in sight. 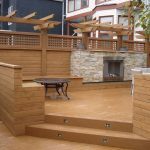 When winter meets your home unprepared for the icy period, especially your wooden deck not adequately winterized, the thawing in early spring can cause a number of unwanted issues. Of course, we cannot do anything to stop winter from visiting at its time, but we can prepare our deck for the eventuality of winter to spare our deck after the freezing season. The reason you need to winterize is to prevent any debris from getting trapped in the ice which will cause the growth of mildew that may lead to the wood rotting in the process such that springtime will come with more repair expenses than you expected. The following discussion talks about how to winterize your deck in simple deck maintenance activities before winter. Take a direct assessment of your deck areas and home’s surrounding areas to know areas to winterize; places to winterize including on your wooden deck that will soak in water when you sprinkle water on it. Take account of areas with leaves, debris, and places with clogged water passages (gutters) or places likely to hold water that may be unsafe for your deck’s material. Relocate your flower pots and sensitive plants to the interior and proceed with the following steps to winterize your deck. STEP 1: Clean your deck. The first thing to do is sweep away the debris around your deck, sop up the moisture and ensure the surface of your deck is left open without any debris or dirt covering it. For the flower pots, elevate the contact point between the flower pot and the deck to prevent water trapping in-between them. The best time to do the cleaning exercise is during summer or early fall when everything is dry and in good shape before winter. The cleaning exercise should include using special cleaning agents to make sure the surface is free of dirt. You can wash it if you have to for proper cleaning of the surface using adequate tools, water, and stain remover. STEP 2: Seal the deck’s surface. After the cleaning exercise, chances are you will find spots on the deck that may have been damaged by mildew or have rotted because of contact with water. You need to seal up all identified spots to keep the deck ready to go through winter without causing further damage. For this exercise, you need water repellent sealer to protect your deck against winter. Seal up every damaged spot on the deck with a quality sealer to prevent water getting into the material and cracks to help mitigate any frost heave or winter damage-related issues. STEP 3: Remove snow from your deck. When the snow is finally here, you can’t let it put so much weight on your deck to prevent untimely collapse or warping of the deck. You have to maintain the ongoing removal of snow from your deck to ensure that warping doesn’t occur. Make sure to use a non-damaging approach to snow removal such as a broom to sweep off snow from time to time. When you need a shovel for the snow removal, make sure it’s a plastic shovel so that any metal edges do not damage the surface of your deck. 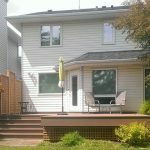 Your deck is a valuable asset to your home and needs to be protected from winter damage. Follow the discussion above and your wooden deck will be able to last a few extra seasons of winter using the aforementioned steps. 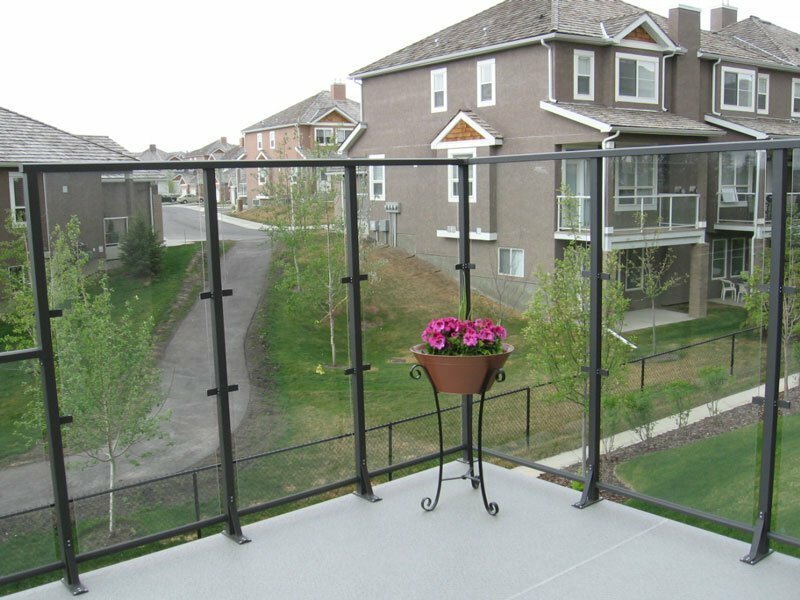 If you have any questions regarding winterizing your deck, please let us know at Mountain View Sun Decks, as we have over 20 years experience in Calgary ensuring homeowners decks stay safe during the winter months.